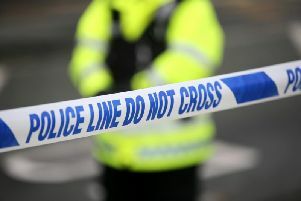 Police are appealing for witnesses following an incident at a shop on the Mill Road in Newtownabbey yesterday evening. Sergeant Adrian Keon said: “Shortly before 5pm, police received a report that a man, carrying a machete, had entered a shop in the area. “Specially trained firearms officers responded and a Taser stun gun was deployed by an officer to prevent further harm to the person and members of the public. “A 32-year-old man was arrested on suspicion of possession of an offensive weapon and assault on police and was taken to hospital for assessment. “We would like to hear from anyone who was in the area at the time of the incident and has any information that could help with our investigation. “Please phone police on the non-emergency number 101, quoting reference 1018 of 27/9/17.